Sam Singh, former Democratic Leader in the Michigan House of Representatives, has rejoined Public Policy Associates as a senior consultant. 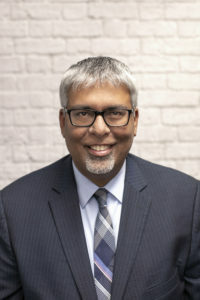 Mr. Singh will focus on several key areas, including nonprofit management, philanthropy, education, energy, and workforce/entrepreneurial development. His work will center on projects related to Michigan. PPA President Colleen E. Graber said Mr. Singh had many career options, and she is delighted that he chose to return to PPA. “Sam has exceptional skills and experience analyzing and developing policy, leading organizations, and building consensus. He is very well regarded across the political spectrum. He will be of great value to PPA and our clients,” said Ms. Graber. PPA is a Lansing-based firm providing insightful research, evaluation, and strategic consultation services to clients across the country. It works with public- and private-sector clients to inform decision-making and strengthen outcomes for institutions, individuals, and communities. Mr. Singh was first elected to the Michigan House in 2012 and was re-elected in 2014 and 2016. Democratic members elected him Democratic Floor Leader in his second term and Democratic Leader for his final term. Before his election to the House, he had extensive experience in nonprofit management, philanthropy, and local government. He was an affiliated consultant with PPA from 2009 to 2012. A graduate of Michigan State University, he served as president and CEO of the Michigan Nonprofit Association, a membership organization serving Michigan’s nonprofit sector. He was a senior consultant for the New Economy Initiative, a philanthropy-led project to create an inclusive regional network of support for entrepreneurship and workforce development in southeast Michigan. Mr. Singh was a member of the East Lansing City Council from 1995 to 2005 and mayor from 2005 to 2007. For more information contact Mr. Singh at ssingh@publicpolicy.com.